This edition retains the strengths of earlier editions such as Anton's trademark clarity of exposition, sound mathematics, exercises and examples, and appropriate level. 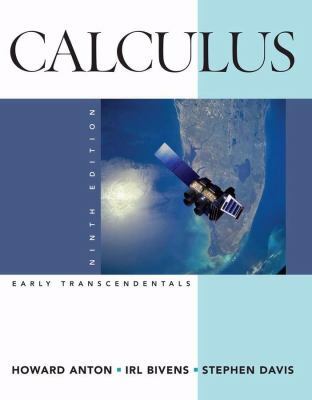 Anton also incorporates new ideas for this edition.Stephen Davis is the author of 'Calculus Early Transcendentals Combined', published 2008 under ISBN 9780470183458 and ISBN 0470183454. Loading marketplace prices 18 copies from $2.30 How does the rental process work?